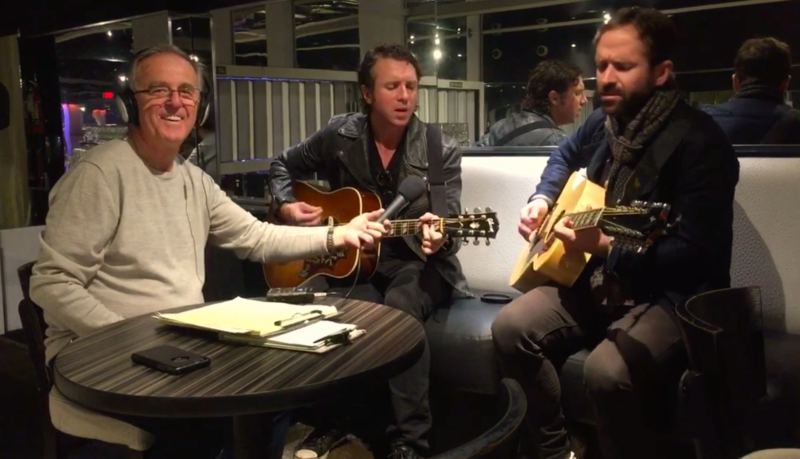 Mulligan Stew November 12th 2016- The Trews, Colin & John-Angus MacDonald Interview! November 9, 2016 Weekly Playlists	Comments Off on Mulligan Stew November 12th 2016- The Trews, Colin & John-Angus MacDonald Interview! As we finished this show it was revealed to the World that Leonard Cohen had died. I had just finished interviewing The Trews backstage at Distrikt in Victoria at the start of their Time Capsule Tour across Canada. The MacDonald Brothers Colin and John-Angus agreed sit down with us to talk about their musical and personal lives. That’s what their new album Time Capsule is all about..the best of what they’ve given us over the last 12 years. It wasn’t until after I’d talked to the brothers that we heard Leonard had died. When I got home..and into the studio – I called Denise Donlon, my former boss at MuchMusic and Sony Records. As such she had a number of meetings and issues with Leonard who was signed to Sony. That specific interview will run NEXT week. This show had just a short thought from Denise on Leonard’s place in Canadian/Montreal culture. Also included is a clip of an interview with Adam Cohen, Leonard’s Son, talking about living in his musical shadow. My heart is heavy with the thought of losing Leonard’s brilliance. What a glorious human being. Our feature album is The Musical Mojo of Dr John/Celebrating Mac and his Music. The playlist – is I hope – exactly what you want to heart on a Saturday Night!! The feature interview will require something we’ve never done before. Thursday starts with a drive to Victoria BC and a meeting with The Trews..from Nova Scotia. Then a sit down interview with Vocalist Colin MacDonald and his brother John-Angus MacDonald. Finally they go on stage and I head straight for the studio to put things together and send the show off.. Playing with deadlines and limited technical skills. We salute the career of The Trews in the last segment of Saturdays Stew. Saturday they return to the historic Commodore Ballroom in Vancouver then a week or more in Alberta. Canadian rockers THE TREWS are set to bring their incredible thirteen year history to life with a twenty-date TIME CAPSULE tour this November in support of their upcoming album Time Capsule. The tour represents the start of a new era for the band as Time Capsule simultaneously looks back and forward to what they have accomplished since their debut in 2003, while formally beginning a new chapter . The tour will kick off on Thursday November 10 at Distrikt in Victoria, BC and wraps on December 16 at The Marquee in their home province of Halifax, NS. Tickets on sale via www.thetrewsmusic.com.